How can one describe David Hogendorn, born in North English, Iowa, to Bertilla (Driscoll) and Carl Hogendorn on November 14, 1939. Dave was a prankster, a good athlete, a bowler and golfer, a man who was fun and funny, a host extraordinaire, a snappy dresser, a classic car lover, a Big Band and Rock and Roll aficionado, a great dancer, Hawkeye fan (and yeller), proud Irish/Dutch man, and stubborn. He was a generous man who helped others in need, a good friend, a gentleman, a staunch Republican, an animal lover, and someone who sported a beautiful head of white hair. Or, perhaps a negotiator, dignified, courageous, a man who led by example of how to live and how to die. But most of all, Dave was a family man. He loved his wife, Katherine, who was his rock in sickness and health. He loved his five children, Dominic, Shawn, Dustin, Shannon and Brittany, their spouses, ten grandchildren and two great-grandchildren. He was an integral part of the Hogendorn sibling unit of Terry, Jo Rae, Marsha, Denise, Leslie, Honore, Kris, April and Lenny. Dave and Katherine opened their home to family and friends on many occasions at their beautiful lake home in Solon. He was happiest when surrounded by those whom he loved. Dave spent his high school years in the mid-1950’s dancing in the many great dance venues of Eastern Iowa. He was an original member of the Danceland Bandstand Dancers, along with his sister and dance partner, Marsha. Along with his father, he also spent those years promoting rock bands in the area, and later ran a dance hall in Waterville, Iowa. Dave began a nearly 40-year broadcast career in 1967 with the opening of KNEI-AM and FM in Waukon, Iowa. As owner, operator and manager, Dave brought music, sports and news to the tri-state area of Northeast Iowa, Southwest Wisconsin and Southeast Minnesota. Later, Dave purchased KZAT-FM in Tama, Iowa. During his broadcast career, Dave hosted a big band show entitled “The Sunday Morning Showcase” on his KNEI stations, which featured hits of the 30’s, 40’s and 50’s. For more than 50 years, Dave also owned and operated a private tour business which promoted group trips to such places as Ireland, Nashville, Branson, and Hawaii. Dave received numerous civic and business awards for various achievements, but the one he truly cherished was being inducted by his peers into the Iowa Rock ‘N Roll Hall of Fame in 2018. 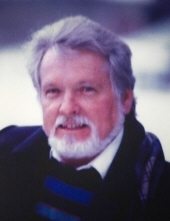 David died peacefully Friday, March 29, 2019 at home surrounded by family. Dave was preceded in death by his parents, Carl and Bertilla, his in-laws Gladys (Woolstrum) and Forrest Ryan, and his grandson, Grayson Hogendorn. Mass of Christian Burial will be celebrated at 1 PM, Saturday, April 6, 2019 at the Newman Catholic Center, 104 East Jefferson Street, Iowa City. A visitation will be held before at noon and a lunch will follow the service. In lieu of flowers, please direct memorials to the family fund or Iowa City Hospice. "Email Address" would like to share the life celebration of David Harwood Hogendorn. Click on the "link" to go to share a favorite memory or leave a condolence message for the family.